After welcoming some fresh faces like Janhvi Kapoor and Sara Ali Khan last year, Bollywood is all set to embrace new ones in the form of Ananya Panday and Tara Sutaria. Dharma Productions' new talents will share the screen space with Tiger Shroff in Student of the Year 2 and we can only sing praises from the film's trailer that was dropped recently. However, do these newcomers have any inhibitions about entering this already crowded world? Does competition with their contemporaries ever bother them? Well, the answer is not really. Funny Student of the Year 2 Memes and Jokes Takes Over the Internet! Check Out the Most Hilarious Ones. During the movie's trailer launch when they were asked about the competition they have in real lives, Ananya said, "I love competition. You can see it in 'SOTY 2'. It was so much fun. It is very motivating to have new people. Our film industry needs new people all the time. So, it is amazing." Coming to Tara, she believes there's no place for anything unhealthy here. "I do not think there will be any unhealthy competition. There will be healthy competition and I am very excited about this. I have seen a couple of films (of new talents) and now they all are going to see our films," she added. Guess, it's time we bid adieu to catfights prevalent in the entertainment industry. 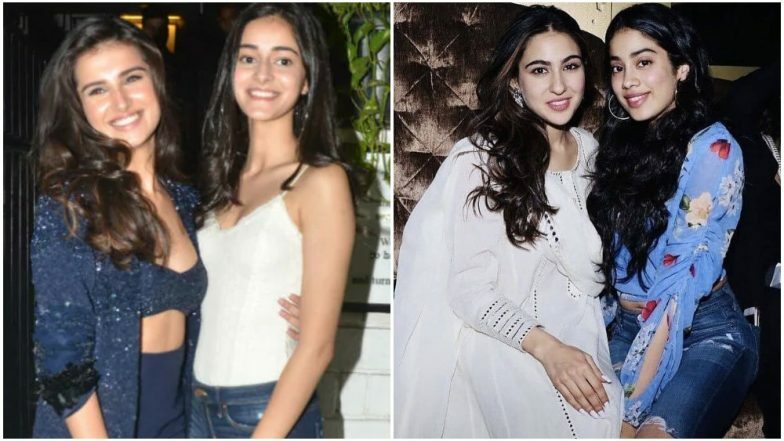 Ananya Panday or Tara Sutaria: Which SOTY 2 Actress Looks The Hottest in These Latest Pictures? Ironically, there were also stories about how Ananya and Tara weren't getting along well on the sets of SOTY 2. Tiger had even hinted about it on his recent appearance on Koffee with Karan. However, the girls have gotten matured with time and it's a good change honestly. Now, will they really stick to their words is something that only time can tell.